The Emerald Towns Alliance presents the ever popular, annual Memorial Day Weekend ShrimpFest! 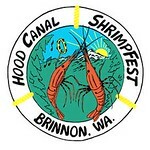 Shrimpfest takes place north of the Yelvik General Store and south of Cove RV Park & Country Store on Highway 101. This is where highway 101 meets the north end of the Hood Canal. Check out their all new website below! The Shrimpfest Committee is well underway with planning and organizing the event. Vendor forms are available on their website prior to the event.